I had him on the Big Ideas podcast to touch on everything from Islamic supremacist ideology and the goals, tactics and strategies its adherents use to impose it, to free speech and the deplatforming of counterjihadists like Spencer himself to the Sunni v. Shia battle in the Middle East and how we can actually triumph in the global jihad being waged against the West. We talk a lot on this podcast about diverse topics from political correctness and identity politics to free speech and foreign policy. At the nexus of all of these issues is something we discussed in one of our early episodes, at length with Andy McCarthy: The subject of jihad. Islamic supremacists seek to impose their totalitarian, theocratic worldview through the tactic of jihad. In advancing their cause in the West and abroad, Islamic supremacists have sought to use political correctness and identity politics as a cudgel against anyone who speaks openly and honestly about their evil designs. It seeks to foist on the West Sharia speech codes – even better if by our own hand. And it was President Obama who said that Islam was the seminal organizing principle in the Middle East – a truth that Obama himself and the vast majority of our political establishment have refused and/or failed to adequately internalize and apply in seeking to advance U.S. national interest. 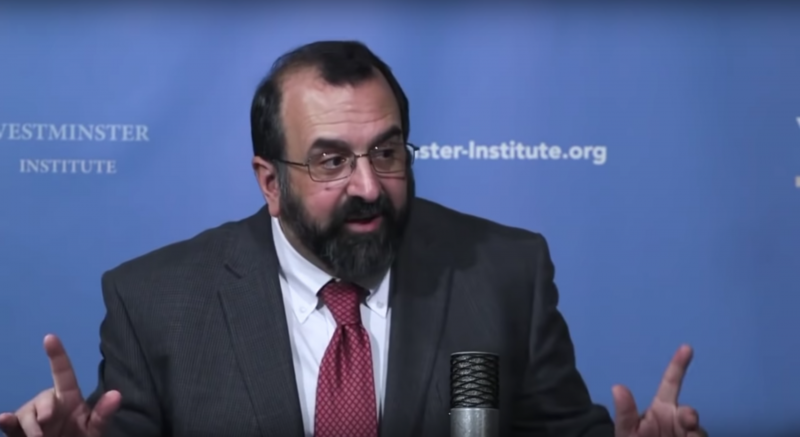 One of the foremost experts on this subject – and someone who Islamic supremacists and their apologists have discriminated against, sought to shut up, and threatened is Robert Spencer, the proprietor of the website Jihad Watch. 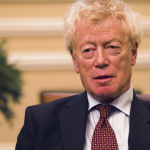 Mr. Spencer has been chronicling stories and providing commentary via Jihad Watch on Islamic supremacism in the West and abroad, in its violent and non-violent and overt and covert incarnations, since 2003. A prolific writer, Spencer has literally written the book on this subject. His latest work is titled The History of Jihad from Muhammad to ISIS. In all he’s written 18 books, several of which have been New York Times bestsellers, such as The Politically Incorrect Guide to Islam (and the Crusades), and The Truth About Muhammad. Naturally, he has been savaged as an Islamophobe for his PC-free examination of Islam, and Islamic supremacists, all of it heavily sourced and often based on the primary sources the supremacists themselves cite. To Spencer’s credit, even when his interlocutors have attacked his character, he has always engaged soberly, dealing with his scholarship clinically, and backing his arguments with substantial evidence. Nevertheless, in addition to the personal attacks, Mr. Spencer has found himself in the crosshairs of the Southern Poverty Law Center – in collusion with groups like ProPublica – who have sought to deem Jihad Watch a “hate group,” and get funding platforms like PayPal and Patreon to boot it off their systems and financially handicap his efforts. I had Mr. Spencer on the Big Ideas podcast to address a number of topics, from Islamic supremacist ideology and the goals, tactics and strategies its adherents use to impose it, to free speech and the deplatforming of counterjihadists to the state of play in the Middle East and how we can actually triumph in the global jihad being waged against the West. Ben Weingarten: Robert, thank you so much for coming today. I want to start with history — and you’ve just published a book, The History of Jihad from Muhammad to ISIS. And let’s start with Muhammad. Explain why his life story, his narrative, is so integral to understanding modern Islamic supremacism, jihad and the Middle East and the Islamic world itself. Robert Spencer: Well, Muhammad is central to Islam. The Koran in Chapter 33, Verse 21 calls him the “excellent example,” which is a universal statement without any exceptions. If Muhammad did it, it’s good, and it’s right and it’s worthy of emulation. Islamic tradition even calls him the “perfect man.” And so, if Muhammad does something, then it has extraordinary weight for Muslims in our present time. And you can see that, for example, with the case of child marriage. Muhammad, when he was 54 years old, consummated his marriage with a nine year-old girl. Child marriage is rampant in places like Afghanistan, where here after the Taliban was toppled, in 2002…the aid workers went into refugee camps, and they found that half of the second grade-age girls were already married. All of the girls third grade-age and above were married. And this was an imitation of Muhammad. This kind of thing is an indication of how absolutely central Muhammad is. The Muslims get offended when their religion is called Muhammadanism, but that’s actually a very apt description of it because it’s all centered on Muhammad. Ben Weingarten: In an interview with Ayaan Hirsi Ali, whose work you know well, I’m sure, she talks about a distinction between Mecca versus Medina Islam, and Muhammad’s life…I wonder, do you subscribe to that kind of dichotomy in Muhammad’s life, and how does that play out today? Robert Spencer: Well, that dichotomy actually exists within Islamic tradition. The Koran, if you get any edition…every chapter or “sura” will be headed “from Mecca,” or “from Medina.” And it is generally understood by Islamic theologians that the Medinan passages because they come later take precedence over the Meccan ones. But if the circumstances of the Meccan passages replicate themselves in another age, then the Meccan passages do take precedence for at least that period of time in which those conditions prevail again. So in terms of the peacefulness or the aggressiveness and violence of Islam, most of the violent passages come from the Medinan period. But, when Muslims are a weak community without political and military power — as they were in Mecca — then the Meccan verses take precedence, and the preaching of tolerance is paramount, which is what we’ve been seeing up till now in the United States. And this ideology plays out throughout all Islamic history. Ben Weingarten: And in your latest book, you write it in the foreword to it, in the introduction, something that I think is very provocative, and I wonder if you would expound upon it a little bit. You say, and I quote here — and this is in context of a comprehensive history of jihad, quote, “there is no period since the beginning of Islam that was characterized by large-scale peaceful coexistence between Muslims and non-Muslims. There was no time when mainstream and dominant Islamic authorities taught the equality of non-Muslims with Muslims, or the obsolescence of jihad warfare… There has always been, with virtually no interruption, jihad.” Speak a little bit to that. Robert Spencer: What is clear from Islamic history, as I show in the book, is that a lot of the mainstream assumptions about Islamic history are false. Most people think that Jews and Christians and Muslims lived together in harmony and peace for extended periods in Spain, and in Turkey, and these things were never true. They are more contemporary re-writings of history for political purposes, in order to foster the acceptance of modern-day political agendas. But if you actually look through history from Spain to India, whereever Muslims have been they have waged war against non-Muslims. Obviously some have not, but those who have not have never formed any significant movement to resist or oppose those who have, and consequently jihad is a constant of Islamic history. Ben Weingarten: What does peace mean in the context of Islamic law? Robert Spencer: Well, when Muslims say Islam is a religion of peace, they’re absolutely serious. It’s not a deception at all because “Islam,” the word, means submission. But that word is related in Arabic to peace, “salaam,” and the peace comes from the submission. Once you submit to Allah, then there’s peace in your life, and once the infidels submit to the Muslims, then there’s peace between the infidels and the Muslims. Ben Weingarten: What are the essential aspects that Americans need to understand about the Islamic supremacist belief system? Robert Spencer: Well, I suppose the main thing is that Islam is not a religion of peace. Most people think that all religions teach tolerance, magnanimity, universal brotherhood, acceptance and so on. And they think that if there are people who are violent in the name of Islam, they’re no different from people who’ve been violent in the name of Christianity or anything else. But the fact is that Islam is unique among the religions of the world in having a developed doctrine, theology and legal system mandating warfare against nonbelievers. And the book shows that there has been a significant number of Muslims — and this is not a tiny minority or some sort of offshoot or fringe group, but a mainstream group within Islam — the caliphates the great empires, the leadership of the Islamic world, they were the ones who were pursuing violence against nonbelievers throughout history. They have always acted upon those violent passages in Islamic doctrine. Ben Weingarten: A lot of people will say, “Well look, there are literalist interpretations,” and they like to go into the fact that like in every religion, there are varying strands. There are multiple schools of Islam. There’s obviously at the highest level, Sunni versus Shia. And a lot of the people will speak to the concept of perhaps there being an Islamic reformation, just as there have been deviations from literalist understandings of religion in Judaism and Christianity — Hirsi Ali is one person who has raised that concept. The question is, is there a way within the confines of Islam to separate political Islam from personal practice, and to be able to live, in a sense, in a secular society in true co-existence, assimilation, or would that be deemed blasphemous by all of the leading Islamic schools and scholars? Robert Spencer: Well, the thing is, if you look historically there’s never been a time when Muslims have lived in a non-Muslim society co-existing as equals, without trying to impose Islamic law. Islamic law mandates that Islam must dominate, and not be dominated, and is a political system, not just a religious one, that is supremacist and authoritarian in its basic message and content. Consequently, the idea that somehow Muslims are gonna come to the West and give all that up is based on nothing, absolutely nothing, within history or Islamic theology. So, it’s essentially wishful thinking. Ben Weingarten: And just to level set here, define for us “jihad.” We have people like former CIA Director John Brennan, who of course says it’s a “peaceful internal struggle,” there’s no warring aspect to it, it doesn’t deal with third parties. What do you say to folks like John Brennan. Robert Spencer: Well, the main thing is, of course, “jihad” means struggle. And John Brennan should know from history. As a matter of fact, he was once confronted by a reporter — I wish I’d been in the room when the reporter was talking to him — Washington Times interviewer was asking him, “Well, look, there has been violent jihad, there have been Muslims throughout history who have understood jihad as meaning warfare against unbelievers. What do you say to that when you define jihad as entirely peaceful and benign?” And Brennan got up and walked out of the interview. So I think it’s clear that he’s just somebody who doesn’t want to face reality, or doesn’t want the public that he’s speaking to to face the reality. The fact is that there have always been Muslims who’ve been peaceful, but they have never had a theological argument within Islam, never represented a theological tradition and never done anything significant to stop the violent ones. Ben Weingarten: In addition to the concept of violent jihad, there’s also a stealthier Jihad, and I would describe it in Western terms as ideological warfare. For example, in addition to immigration jihad, which is its own separate conversation, one of the ways in which the kind of ideological struggle comes in is in the form of censorship, namely getting the West to, wittingly or unwittingly, self-censor, and in the process, knowingly or unknowingly impose Sharia speech codes against blasphemy and the like. Recently, the perhaps Orwellianly titled European Court of Human Rights upheld a ruling regarding an Austrian woman who had suggested that because Muhammad was married to a six-year-old wife, that he engaged in pedophilia. And that was viewed by the Austrian authorities as violating their laws against disparaging religious doctrines. And this European Court held up that ruling. What is the state of free speech versus Islamic attempts to enforce Sharia speech codes in the West today? Robert Spencer: There’s a concerted effort certainly to destroy the freedom of speech, and it’s been going on for years. Ever since the first Muhammad cartoon controversy when the Danish newspaper Jyllands-Posten published cartoons of Muhammad in 2005, the Organization of Islamic Cooperation — which is 57 governments, 56 states, plus the Palestinian Authority — they made a determination at that point to try to compel the West to adopt Sharia blasphemy laws, as you say, and to criminalize criticism of Islam. They have done this through the UN, and through various other means to try to make people think that to speak critically of Islam is to incite religious hatred, to lead to violence. Now, there’s never been violence on the part of people who have drawn cartoons of Muhammad except violence committed against them, but nonetheless that’s the argument that somehow this criticism will lead to violence, and as such, has to be criminalized. Remember, we have to bear in mind that jihad has a goal, and the goal of jihad is to impose Islamic law upon the world. And so if the Organization of Islamic Cooperation is able without firing a shot to compel the West to adopt Sharia blasphemy laws and willingly self-censor, then that’s a major goal that has been fulfilled without any violence, which would be considered a tremendous victory in the Islamic world. This is an initiative that’s proceeding very, very successfully at this point, with many people in the West having internalized the idea that it’s somehow wrong, it’s morally deficient somehow to speak critically of Islam because it will put innocent people at risk. Ben Weingarten: So you have a governmental effort to force people to essentially self-censor so as not to offend because to offend, could lead to essentially a fatwa on your head — and Islamic law requires the death penalty put on your head for blaspheming…But then you also have civil society efforts, and what I would characterize as almost trying to segregate in commerce. And a perfect example of that is with Jihad Watch. Jihad Watch, your website, was pulled off of PayPal’s system. Speak a little bit to what transpired there. Robert Spencer: Well, what happened was, there was a hit piece written about various so-called hate groups after the incident at the Charlottesville alt-right rally. And I, of course, had nothing to do with that rally, wasn’t there, don’t approve of these people. But after it came out, then ProPublica, which is a very far left publication online, ran a piece about hate groups that were being supported by PayPal and various other platforms. Now, of course, hate groups in the article were defined as those that have been called such by the Southern Poverty Law Center…Whether the Southern Poverty Law Center is really a reliable source is, of course, highly questionable, when they don’t have any leftist groups, any jihad groups on their hate group list and many, many legitimate conservative organizations, including Jihad Watch that have never called for, condoned or approved any violence and are working through legal means to fight for positions that are simply dissenting from the leftist perspective. That’s enough to get you called a hate group. So PayPal shut us down on that basis, and that was…something that we were luckily able to overturn pretty quickly after an outcry. Since then. However, Patreon, Mastercard, Discover Card, GoFundMe have all refused to work with Jihad Watch. And I’m talking with lawyers about that now. Ben Weingarten: In terms of the practical consequences of Islamic ideology, and how it plays out geopolitically in the world today, I wonder if you’d put in context the bloc of primarily Sunni nations going up against Iran and its proxies at this point, and the kind of broader ideological currents that underpin this battle that’s taking place. Robert Spencer: Saudi Arabia of course is Sunni, and they have a very large Shiite minority in the eastern part of the country comprising almost 10 percent of the population and living in the area where there’s the largest concentration of oil wells, so that’s a very important territory and a very volatile situation. Iran, of course, is Shiite, but wants to gain control of the entire Islamic world, establish itself as the leader of the entire Islamic world, and has the allegiance of the weak Shiite regime in Baghdad and Southern Iraq, as well as the allegiance of the drastically weakened Assad regime in Syria, plus Hezbollah in Lebanon and Hamas in Gaza. Hamas is Sunni, but is funded as is Islamic Jihad in Gaza, by the Iranians. So the Saudis are deeply threatened by this and feel themselves being encircled and want to reassert the Sunni power against the Iranians. The difficulty is that many of the other leading Sunni states don’t want to be led by Saudi Arabia, principally Turkey, which wants to restore the Ottoman caliphate, and Egypt, which presently is ruled by a military government that is not interested in imposing Sharia at all. So all these different forces plus Al-Qaeda and ISIS are jockeying for power in Syria and northern Iraq, and ultimately for the power over the entire Islamic world. Trump has a very difficult position, very difficult situation to navigate because his predecessor of course drastically empowered the Islamic Republic of Iran, and in order to try to limit that power, he has to play ball with an equally noxious regime, the Saudis at least for the time being. Ben Weingarten: In your view, what is American national interest in the Middle East, besides a balance of power between the two sides? Robert Spencer: Balance of power is probably the best that we can hope for, or trying to keep them from destroying American interests by going to war with each other on a constant basis. But otherwise, I’m not really in favor of there being any American presence there at all. I don’t think that we have some Wilsonian responsibility to establish democracy around the world, and I don’t think it’s possible. Now, we do have oil interests there, and I think that we need to address that. The president is already addressing that by freeing us from dependence on that oil, and that’s all to the good, and then we can respond in a way that will be more coherent in terms of dealing with our own interests and not quixotic nation-building projects or other adventures in that area. I’m not talking about isolationism, or total withdrawal, I’m talking about adopting a more reasonable policy of containment and giving up these Wilsonian ideals such that we can try to restrict jihad activity, but otherwise leave them to themselves, as we should. Ben Weingarten: ISIS has essentially fallen out of the news at this point. The general understanding is that they have lost their land mass, their caliphate. Many of their fighters have actually returned to Europe and other places, which potentially threaten our interests in the West and abroad. But in history, repeatedly, just because a group loses its land or loses many of its fighters does not mean that a Sunni jihadist group like ISIS goes away. It generally speaking morphs into something else. What do you expect to happen next in the kind of life cycle of what was once Al-Qaeda in Iraq, then ISIS? What follows from it? Robert Spencer: Well, they’ve certainly tried to regroup in terms of becoming an international terrorist movement, calling repeatedly, even while they occupied a large landmass in Iraq, in Syria, for attacks on Western interests and Western civilians in the United States, in European countries, calling for “lone wolf” jihad attacks and so on. Also, they…still have the allegiance of numerous jihad groups around the world — not as many as they once did, but there’s still many that accept their claim as the caliphate. There’s a faction of Boko Haram in Nigeria that still accepts them, and not long ago after they lost most of their territory in Iraq and Syria, 63 jihad groups in Indonesia pledged allegiance to the caliph al-Baghdadi. So ISIS is unfortunately very much still with us, not only in Indonesia and Nigeria, but also in Libya and Bangladesh and elsewhere. This is a group that’s going to be around for a considerable period of time to come. Ben Weingarten: Something that’s not often spoken about, besides for example, Boko Haram, and the jihadist attacks that they commit, is the clear effort by Sunni jihadist groups to expand their footprint into many African nations. When we look back 25 years from now, what are we going to see that’s transpired there? Robert Spencer: Probably it’s going to continue to spread. There are aggressive efforts for ISIS to spread and for the jihad ideology in general. Al-Qaeda is of course still very much a player in Africa. This is something that we see periodically in Mali, where it’s been almost completely forgotten, but just a few years ago, an Al-Qaeda group actually took control of the government for a brief period. But the French went in and toppled them. Nonetheless, Al-Qaeda is still very much active in Mali, and we see new activity from jihad groups. A jihad group that had previously not been heard of called Al-Shabab…Al-Shabab is very active in Somalia, but there’s another separate Al-Shabab now in Mozambique. And the Al-Shabab group in Somalia meanwhile is just as aggressive as it’s always been in Kenya. And so, Africa’s gonna be a jihad battleground for probably generations to come. But this is of course what the jihadis consider to be a 1,400-year struggle, so it’s always gonna be with us as long as there are people who believe that Allah commands warfare against unbelievers. Ben Weingarten: To use in the modern parlance — although I disapprove of the term on principle — if you were to be named counterjihadist czar tomorrow, what would be your kind of comprehensive policy, on the domestic side? Robert Spencer: On the domestic side I would call upon the American Muslim advocacy groups to renounce immediately and explicitly, without dissimulation, and to back up their words with actions, the aspects of Islamic law that contradict American law. These are already illegal for the most part: Polygamy, female genital mutilation, of course jihad warfare, the institutionalized discrimination against women, the spousal abuse — wife-beating. All these things, they’re illegal, but the American authorities for the most part turn a blind eye. There are two FGM [female genital mutilation] prosecutions going on right now in Detroit. They’re the first ones, ever. So if we start aggressively prosecuting those things, we’re going to catch a lot of jihadis because people who adhere to Sharia in one aspect adhere to all of it. And the American Muslim advocacy groups must understand that the aspects of Islam that contradict constitutional freedoms are not gonna be welcome here. And people will say, “Well, you’re violating their religious freedom.” Actually, religious freedom has never been a license to break other laws. And for example, there’s ample precedent about this as well. The state of Utah, the territory of Utah, was not admitted to the union in 1890 until the Latter-day Saints Church agreed to outlaw polygamy because it was understood that polygamy was not gonna be tolerated in the United States. Now, it is tolerated. There are thousands of Muslims practicing polygamy in the United States, and nobody does anything. So if I were the counterterror czar, I would adopt that. I think it’s analogous to the “Broken Windows” strategy that was adopted, that cleaned up New York City in the ’90s, to prosecute petty crimes and to clean the graffiti and fix the windows, and so on, instead of letting the city look like a war zone. And that did a great deal to improve the…not just to improve the atmosphere, but to make it look as if crime would be prosecuted. And it was. And it dropped way off. I think it would be the same thing with…this. Ben Weingarten: And of course, as our listeners just heard, the consequence of the backslide against broken windows policing is more crime. How does a nation vet for Sharia supremacy when it comes to immigration, and visitors to a country, given that lying and dissembling is baked into the canon as acceptable in times of war, against nonbelievers, like us. Robert Spencer: Well, understanding that it is acceptable to lie, we have to understand that no vetting is gonna be perfect. But there are many things that we could ask that would be revelatory, that the person being asked might not realize that he should lie about, particularly in regard to Israel. Invariably, an Islamic hard-liner is going to hate Israel, and be venomous toward Jews. And so, asking about that is something that would be, I think, quite fruitful in many immigration vetting procedures…Also, related issues regarding aspects of Sharia like FGM or polygamy would also be revelatory. But nobody dares to go there right now. It would be Islamophobic. Ben Weingarten: There’s been an intersectionalist movement among progressives which has really formalized the kind of relationship between Islamists and apologists for Islamists, and sort of your mainstream garden variety progressives — and I’m thinking of the folks like Linda Sarsour and her friends in the movement. But now we’re actually seeing candidates for higher office as well — for example, Ilhan Omar, who has said some just detestable things on social media, Ocasio-Cortez’s comments…it’s a big strain running through the Democratic Party right now, which is increasingly dominated by progressives. And presumably, there will be more and more candidates like this. What do you make of that trend? There’s gonna be more of it also because of the left’s addiction to identity politics, that, “Look, we have six brown people running, and you only have two. We are obviously loving and peaceful, and you are hateful and bigoted,” something of that kind. The idea is that the Muslims are a persecuted minority community, and consequently need to stand with the other persecuted minority communities. This is a philosophy that thrives, that only survives by retailing grievances, and that means that you have to have hate crimes against these supposed persecuted minority groups, or else the whole thing doesn’t work, and collapses. And so, the Islamic grievance industry, the Council on American-Islamic Relations [CAIR], Islamic Society of North America, and the others, they are constantly publishing these hate crime reports with many, many faked and spurious incidents included in, to give the impression that Muslims are facing wholesale persecution, discrimination and harassment in the United States, when they’re obviously not, and when FBI statistics show that Jews are far more often the victims of hate crimes than Muslims. But…they’re not in the grievance industry. So you have the Democratic Party, oriented toward grievance groups, and the Islamic groups having so skillfully portrayed themselves as being one of those grievance groups, suffering because of race, even though Islam is not a race. I think you’re gonna see many more of these kinds of candidates, and much more of this theology, this political philosophy of aggrieved victimhood. Robert Spencer: There were social welfare activities that the National Socialist German Workers’ Party engaged in. The idea that because sometimes these groups do things that are good means that therefore, we cannot act against them when they do evil is, well, self-defeating to say the least. The fact is that the Muslim Brotherhood does indeed engage in peaceful work, as well as terrorist activities. And so, it’s all in service of imposing Sharia. When they run in elections in Egypt, it’s to impose Sharia. They think they can get…more effectively by elections what they could have…through violent conflict. So the idea that when they are peaceful, they’re benign, is short-sighted. We have to look at what the goal of the organization is. And in that sense, the Muslim Brotherhood is in no way benign. They want to impose Islamic law, which institutionalizes discrimination against women, non-Muslims, gays, so many other groups. So there is nothing there that anybody who supports a free society should be on board with. Ben Weingarten: 11 years on from 9-11 — and I spoke with Andy McCarthy about this in a prior episode — it seems as if we’ve learned very little, made many mistakes, and we’re kind of mired in a malaise of sorts when it comes to dealing with jihad. A question: In your historical study, what has to transpire to defeat jihad? What does winning look like, or are we just guaranteed to be fighting this enemy on and off, them fighting us perpetually, for the next hundred years or longer? Robert Spencer: Well, as long as there are people who believe, as I said earlier, so long as there are people who believe in the Koran, and Muhammad, there will be people who think they have to wage jihad against unbelievers. But we can stop bringing over so many Muslims, and this is something that the president has called for, and that he backed off from a little bit, but then he worked on these travel bans that were temporary, to be sure, but good precedents and upheld by the Supreme Court. Now, people will say that’s terrible, and racist and bigoted to say, but the problem is that yeah, many Muslims are peaceful, but among them will be an unknowable number of people who think they need to wage jihad to impose Sharia. Now, do we wanna remain a free society or not? At a certain point, we’re gonna have to make that decision, and if we bring in a certain number of people, and an ever growing number of people thinks we shouldn’t be a free society, but should be a society that imposes this religious law and subjugates those who are not of that religion, well, then it’s gonna come to conflict. There’s going to be strife. So if we want to deal with this in the long run, we have to call upon the American Muslim groups to, as I said before, renounce all these aspects of Islam that contradict American law, and vet much more carefully and generally taper off immigration from particularly Sharia states, if not all Muslim countries. But the confrontation could be postponed. It’s not gonna go away. At a certain point, there will be enough Muslims in the West who will say, “We want to establish an Islamic State,” and then we’re gonna have to make the decision. We could just head that off right now by deciding to remain a free society, and only bring in people from areas whose political philosophies suggest that they might be more compatible with American life. Featured Image Source: YouTube/WestminsterInstitute screengrab.